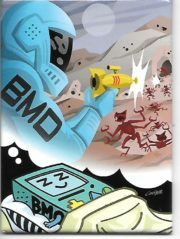 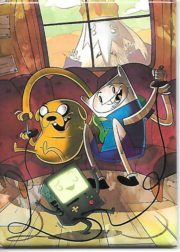 Produced in 2012, this is a licensed, large 2 1/2″ x 3 1/2″ magnet featuring BMO (Beemo) saying “Who Wants To Play Video Games?” from the popular animated TV series Adventure Time. 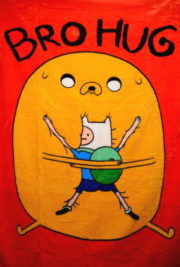 This is a new and unused 50″ x 60″, 100% polyester, micro raschel throw blanket that features Jake and Finn hugging each other under the words “Bro Hug” from the popular animated series Adventure Time. 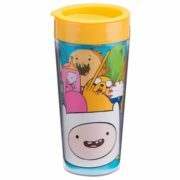 Produced in 2014 this is a 16 ounce double wall plastic travel cup, designed to keep hot foods/drinks cool or cold for extended periods, that features animation art images of the characters from the cult cartoon series Adventure Time. This is a new, unused double wall plastic travel cup and is BPA free. 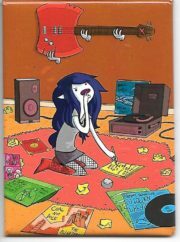 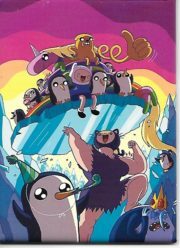 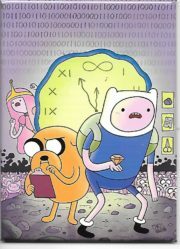 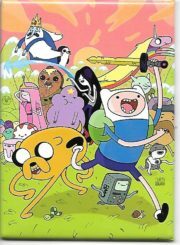 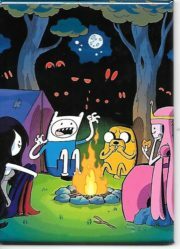 Produced in 2012, this is a licensed, large 2 1/2″ x 3 1/2″ magnet featuring the image of the cast from the popular animated TV series Adventure Time under the words “Let’s get This Party Started!”. 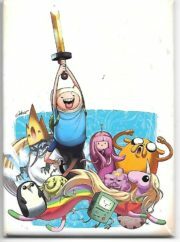 Produced in 2012, this is a licensed, large 2 1/2″ x 3 1/2″ magnet featuring the cast of characters in a group shot from the popular animated TV series Adventure Time. 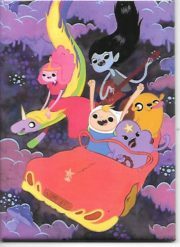 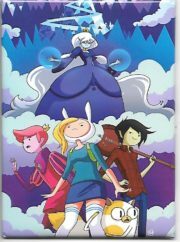 Produced in 2012, this is a licensed, large 2 1/2″ x 3 1/2″ magnet featuring Finn and Jake running under Lady Rainacorn from the popular animated TV series Adventure Time. 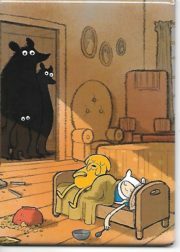 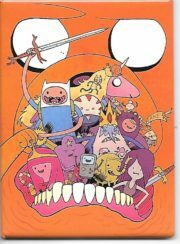 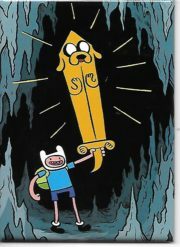 Produced in 2012, this is a licensed, large 2 1/2″ x 3 1/2″ magnet featuring the image of the Finn and Jake under attack by demons from the popular animated TV series Adventure Time. 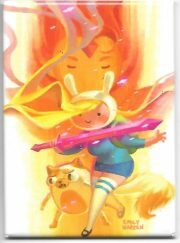 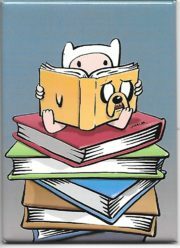 Produced in 2012, this is a licensed, large 2 1/2″ x 3 1/2″ magnet featuring Finn and Jake hugging from the popular animated TV series Adventure Time.